More than 300 days of sunshine a year and an average temperature of 19° C, make Cartagena and surroundings an ideal place to play golf and relax. 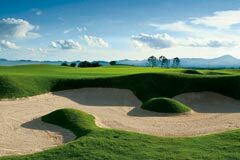 Come and practice your swing at any of the golf courses you will find in Murcia. • Autovía RM11 (Lorca-Águilas) – Salida 17.